Just hours after announcing the shut-down of its official apps for Android TV, Xbox and Roku, social networking major, Twitter, says it has started rolling out a number of new features to its mobile site, Twitter Lite, and Twitter for Windows. The company took to its official Twitter handle to announce the new features that it says will provide ‘more consistency across platforms’. The Night Mode can be activated by going over to Twitter’s Settings menu and using the toggle at the bottom of the overlay pane. The thing to remember here is that because we’re talking about a progressive web app on Windows 10, the new features will be available to users even without needing to update the client app. The changes have already started rolling out at the back-end, and is expected to be available for all users soon. 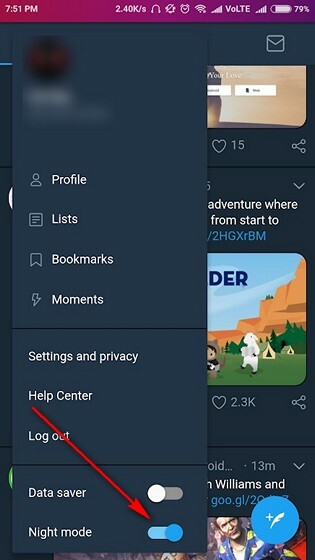 As for the new features, ‘night mode’ is one of the most-requested functionalities, real-time updates and like/retweet counters are also things that are almost taken for granted in the standard apps, so it’s certainly good to see that the company is finally rolling them out to all platforms irrespective. The move comes ahead of Twitter’s push for new developer tools, including the Account Activity API that will break a lot of critical functionality in third-party Twitter apps, such as Tweetbot, Twitterrific, Talon or Tweetings, which will be unable to get User and Site streams after the change is implemented. Which means, push notifications will no longer work and timelines won’t refresh automatically any more.